James Hansen. Photo credit: Josh Lopez / Chesapeakclimate via Flickr. Albert Einstein was disgusted with the media. He couldn’t stomach sensationalist reporting of science, which he said, gives “…the impression that every five minutes there is a revolution in science, somewhat like the coup d’etat in some of the smaller unstable republics.”. , As if each new paper or discovery was an overthrow of previous understanding. Their basis for this sudden revolution: a small reduction in global emissions, while governments continue to go after every fossil fuel that can be found. If you read the latter headline to mean “if we had an across-the-board rising carbon fee, with the funds divided equally among legal residents it actually would not be economically burdensome” that headline would be reasonable. However, how can a carbon fee be made to happen? It will require tremendous perseverance, because when the concept of making the price of fossil fuels honest, including their costs to society, is presented to politicians, they have a tendency to torque the idea to their ideology. Liberals want the money for government programs. Conservatives want to use the money to reduce specific taxes that they oppose, usually taxes that wealthy people don’t like. The nonpartisan approach is to give the money to the public. That is useful because it will spur the economy and create jobs. However, it is more than useful, it is essential if we are to phase out fossil fuels. If the money does not go to the public, the fee is a tax, and the public will never allow a tax to rise to the level needed to phase out fossil fuels. As the climate problem becomes more and more obvious to the public, the nonpartisan approach of giving the money to the public can be the bipartisan compromise. However, for that compromise to be on the table, there need to be a large number of people promoting it. That’s why the perseverance of Citizens Climate Lobby is so important, and that is why CCL needs more volunteers to deliver their message to Congress people. The annual CCL Conference (website here) which continues to grow every year, will be next week, June 21-23. Katherine Hayhoe, Shi Ling Hsu, and I, and many others will be giving talks. There is an easy way for you to make a significant contribution, even if it is not practical to go to Washington to meet with your representatives. CCL is asking you to participate in Congressional Climate Message Day on Monday, June 22nd, the day before over 900 CCL volunteers lobby on the Hill. Their meetings can be made even more successful if you contact your one representative and two senators and declare your support for legislation to price carbon. In this instance his criticism was actually aimed at Erwin Schrodinger for presenting to the press, as if it were a fundamental advance, one of the fruitless attempts at a unified-field theory. First published on Climate Science, Awareness and Solutions and has been republished with permission. 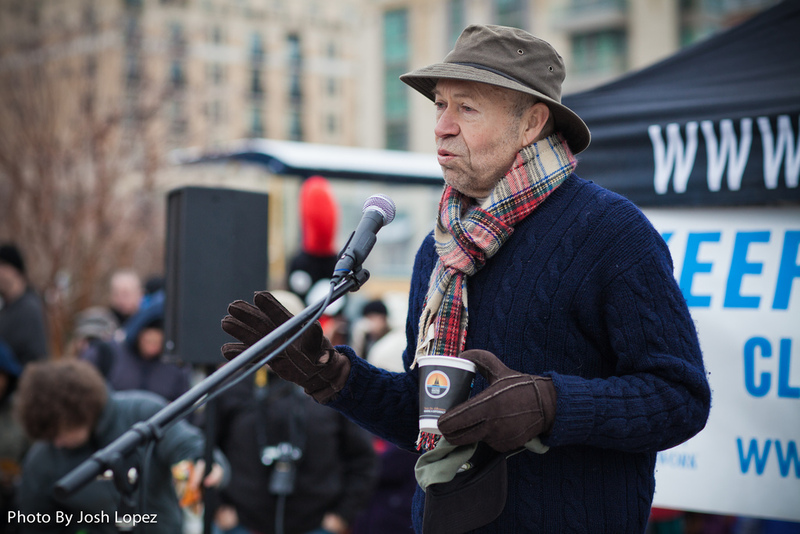 James Hansen is former director of the NASA Goddard Institute for Space Studies and is now adjunct professor at the Columbia University Earth Institute, USA.